A breast implant by the now defunct French company Poly Implant Prothese. The European scandal over faulty breast implants continues. 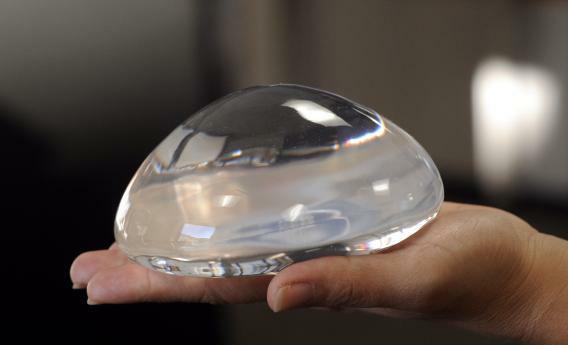 Last month the French government said it would pay for 30,000 women to remove breast implants made by the now defunct French company Poly Implant Prothese (PIP). About 40,000 women have the implants in the United Kingdom, and hundreds of thousands across the world (though not in the United States). After an inquiry into the safety of the implants, which were made with a substandard industrial-grade silicone of the sort used in cookware, the British government today came out against mandatory implant removal but said the National Health Service – and, it hopes, private cosmetic surgeries companies – will pay for women who want to remove theirs. The head of the breast implant company at the centre of an international health scare admitted using cheap silicone gel in his products to cut costs but told police he had “nothing to say” to those affected, according to French reports. Let’s also for the moment leave aside the fact that some women who received breast implants did so after having mastectomies that left them without any breasts at all. Let’s only consider those women who got breast implants in their quest to be more like “beauty queens.” Why is their health less important, again? Oh yes, we most certainly are. This taps into our disgust for what’s seen as a fundamentally female character flaw. Vanity, thy name is woman. So, the argument goes: vain women deserve everything that happens as result of their vanity, even if the results include consequences that couldn’t possibly have been foreseen. There is no such similar scorn in discussing, say, a hockey enforcer whose brain was turned to poutine because of the violent job he excelled at and chose to pursue. Rather, there is sadness and pity and calls for reform of the sport. More than vanity, women are responding to a sense of inadequacy, to a potent mixture of shame and fear about not being the right kind of women. There’s the fear of getting old (which is to say becoming invisible), and the fear of being ugly (same). There’s the fear of being a too-big woman and of being an under-endowed and less-than-whole woman. There’s the way we are told in all sorts of big and small ways that we aren’t just people with bodies, that our bodies are us. There’s the fear of the clothes, which tell us what we should look like rather than our bodies telling the clothes. There’s a pervasive sense that merely being a woman isn’t enough, that being oneself is not enough, that one is required to nip in here and swell there, to exhibit nothing jiggly or lumpy, to conform to an outline one had nothing to do with drawing. If that lust to be beautiful is “hollow,” it does not belong to these “vain” women alone. It is an expectation for women that we all share.